Location: Rochoso, Near Guarda, Portugal. 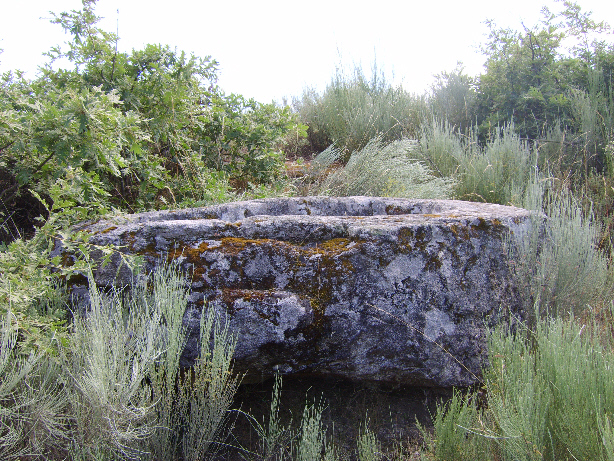 Grid Reference: 40.529 N 7.262 W.
The village of Rochoso is best known today for its 'Menhirs' (right). 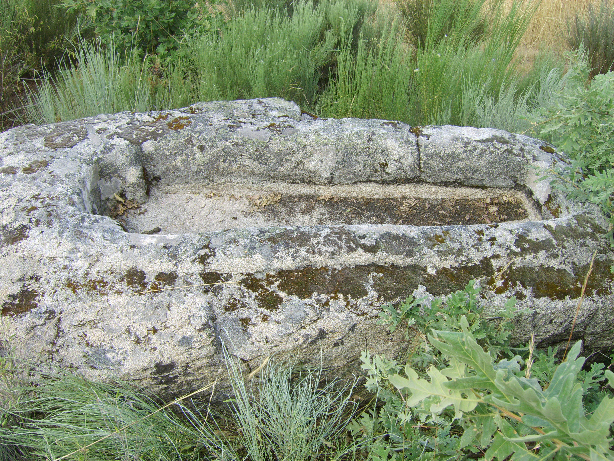 However, the town itself and the area around it are littered with large stones, many of which were re-used from previous constructions dating back through the Romans to the Neolithic. 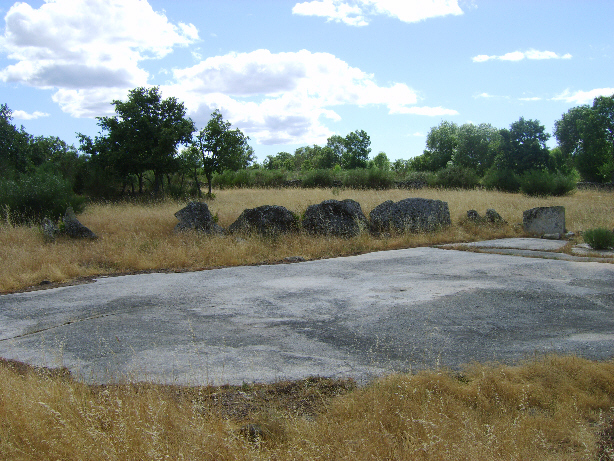 There is rumoured to be (or have been) a stone circle in Rochoso but there is no sign of it now, and no-one seems to know of it or have heard of it. 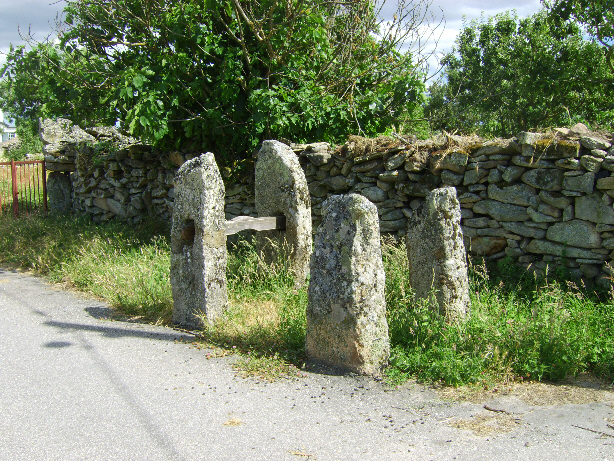 A local woman (of at least 80 years old), told us that her parents told her that there were once two more menhirs at the site and that together, they supported a capstone. 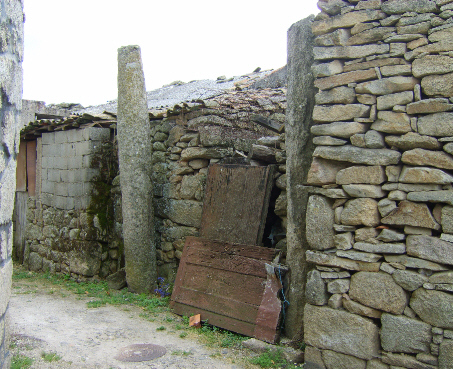 A house has been recently built next to the remaining two stones and there is now no sign of the others or the capstone. 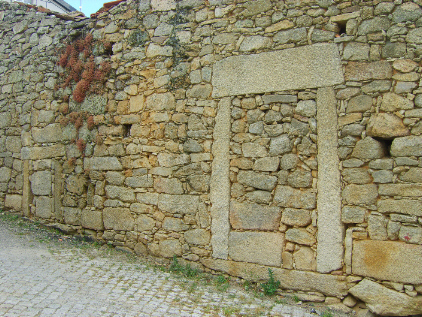 The village walls are littered with large stones such as these. (left) Is this what people are calling a stone circle?... (Right) Stocks..? 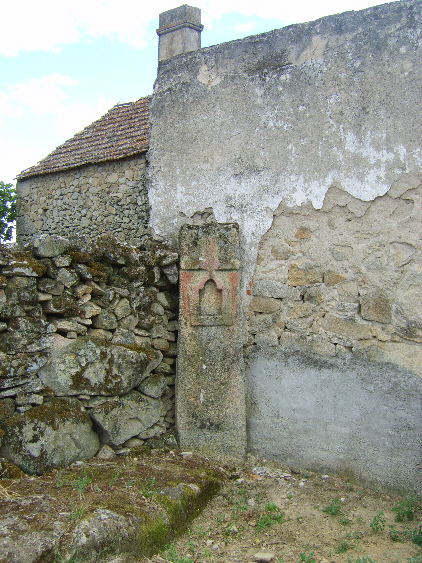 A Christianised menhir in the village..